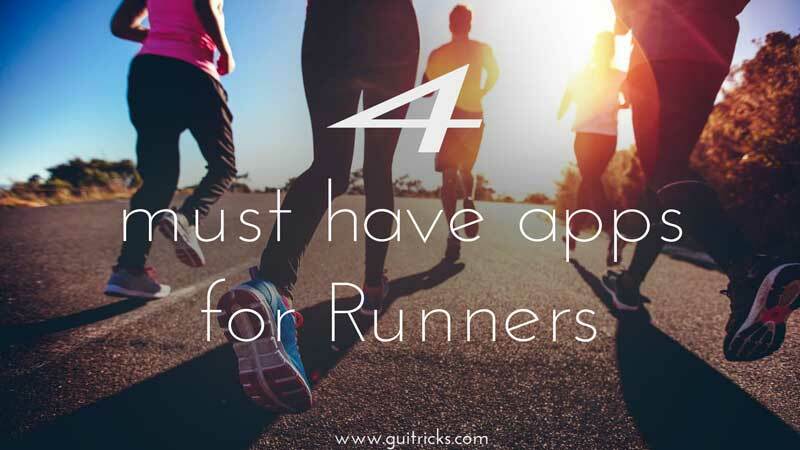 4 Must Have Apps For Runners | GUI Tricks - In Touch With Tomorrow! 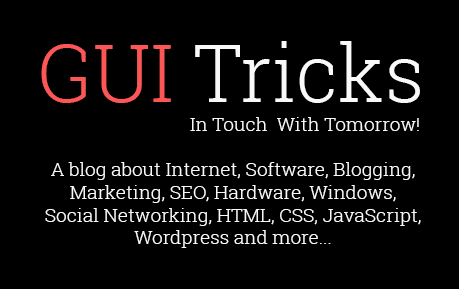 4 Must Have Apps For Runners - GUI Tricks - In Touch With Tomorrow! The sport of running has gained tremendous popularity in the past decade, and it’s probably no surprise, given how much the Internet and mobile technology has also grown. While most runners will explain that their love for the sport stems from the opportunity to be in solitude, to think through their problems, or to unplug from the stressors of day-to-day life, most runners will also admit that they absolutely love their running “stuff” and in particular, their running-related technology and outdoor gears. Sure, it’s true that to be a runner, you don’t need to have a lot of specialized equipment or “stuff,” but by and large, most runners these days place a premium importance on two items in particular: their watch and their phone. It wasn’t that long ago that most runners ran without a watch, or with a basic stopwatch-function style watch; now, however, nearly every runner wrist out there is sporting a GPS-enabled watch, perhaps even a smartwatch, that allows runners to get data points (and even emails and notifications) in real time. The bridge between watch technology and smartphones has minimized in the past decade, and now, if you were to ask 10 runners on the street, I bet 9 out of 10 would admit to always running with both their watch on their wrist and their phone on their person. Fortunately, as mobile technology has expanded and enriched over the past decade, so, too, have the apps that are now at runners’ disposal. There’s a huge market out there for app developers to create runner-focused apps, and below, I’ll highlight 4 must-have apps for today’s runners. All the apps I highlight below are available for free or for purchase (for premium features) on both the Google Play Store and on the iOS app store. If it’s not on Strava, it didn’t happen is a common phrase that you’ll hear from runners. Strava is a social media platform that tons of fitness enthusiasts the world over use to document, share, and talk about their training. It most often attracts the running and cycling community, but athletes of all different sports backgrounds can log their workouts, share pictures, and thanks to a new feature update, can even share blog posts and extended commentary on their races or training. It’s a lot of fun because many pro and elite athletes also share their training on Strava, making it seem like the best of the best in the world are just like us. Strava is free to use, but if you want to have access to premium features, you’ll have to pay a monthly or yearly fee. You can also auto-connect your Garmin data to automatically upload into Strava, too. There are tons of GPS companies out there that make stellar products, but arguably, most runners (9 out of 10, at least) use a Garmin watch. Garmin Connect is Garmin’s app and software system that logs athletes’ data, and simply playing around with it online will show you metrics like how much elevation you’ve climbed this year; the number of miles you’ve run each day, week, or month; your average pace; your heart rate analysis (if you use a heart rate monitoring system); and even some biomarkers like your weight, if you include that information each week. Garmin Connect, like Strava, also gives you the opportunity to “friend” other athletes on Garmin Connect so that you may also follow along with their training. Once you purchase a Garmin device, you’ll be able to access Garmin Connect for no additional charge. Runners (and people) the world over love to showcase the “highlight reel” of their lives and running gives you countless opportunities to do so. Runners love to talk about running, so it’s a natural extension for them to want to share photographic or film evidence of their latest run’s splits, scenery, race recaps, medal shots, and more. The running community is hoppin’ on Instagram, and simply including a few hashtags on your pictures will effortlessly connect you to runners the world over who love nothing more than to read about running and cheer you on. By the Run Experience. The Run Experience app is chock full of information pertinent to runners of all different levels and abilities. In addition to including information about training plans for a variety of distances, the Run Experience also has tons of tutorials on everything from strength training (including which exercises to do and how to do them safely), injury prevention (again, including which exercises are most helpful and which may be detrimental), and important information about nutrition and recovery. Regardless if you’re a new runner or have been running your entire life, you’ll benefit from this app. The user-interface is clean and intuitive, as well. There are tons of running-related apps out there, but I find the aforementioned to be both the most helpful and the most fun. It’s through these apps that I’ve been able to keep track of my data and training, meet tons of new runner friends (and meet many of them in person), and stay ahead of injury and on top of my recovery and nutritional needs. No doubt these apps will continue to improve over time, thanks to user feedback, so if you try any of them out and feel that they’re lacking, take the time to leave some feedback for the developer in the appropriate app marketplace. Few of us would have ever guessed that running and technology would become so closely aligned, and now, most of us would argue that technology has actually improved our running! Hiking addict, collector and a record love. Performing at the crossroads of beauty and science to craft experiences both online and in real life.